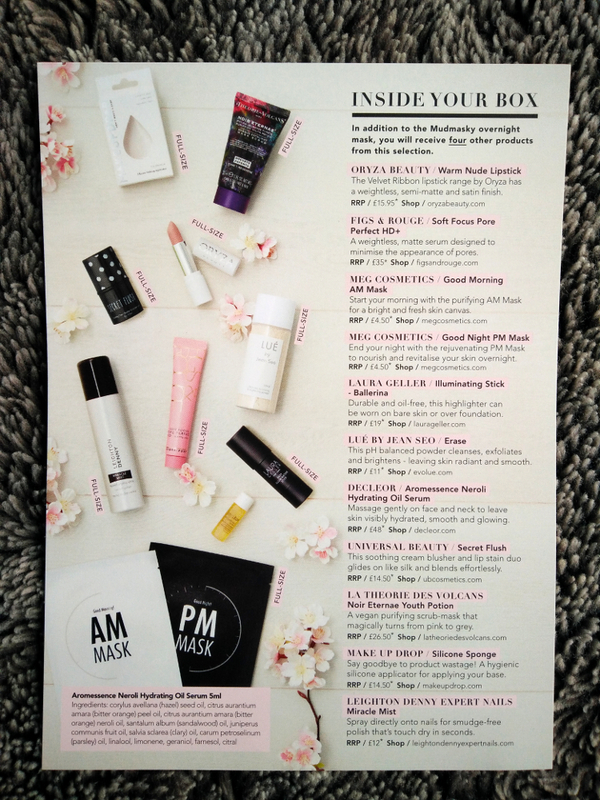 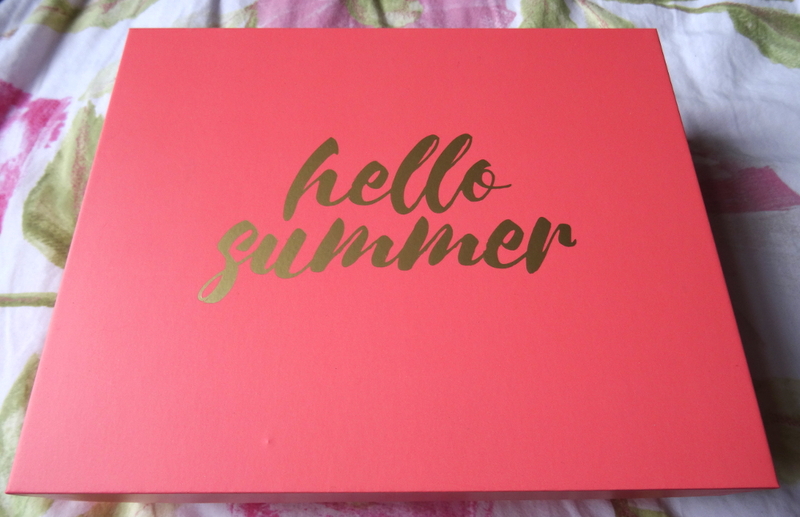 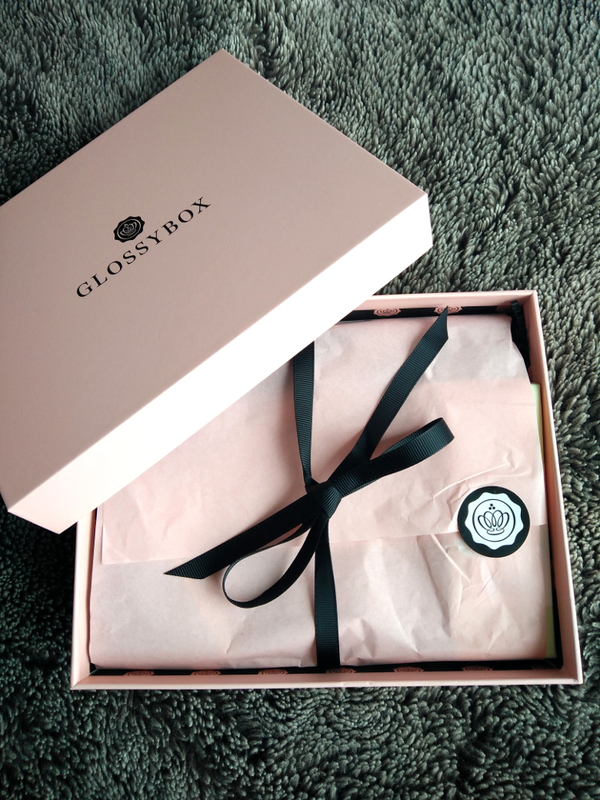 The July Glossybox is finally here and contains 5 lovely products to help get you through the summer months! 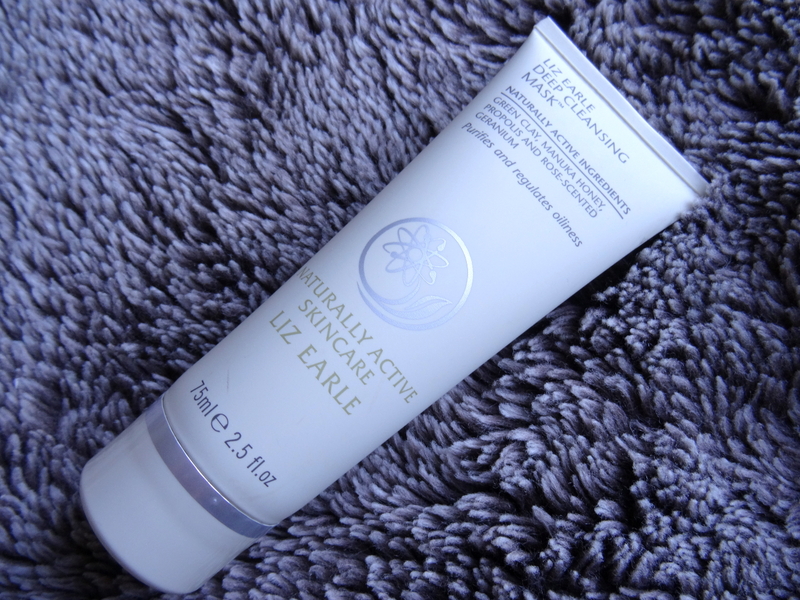 First up is a 100ml travel size bottle of the MONUspa first defence soothing after sun lotion. 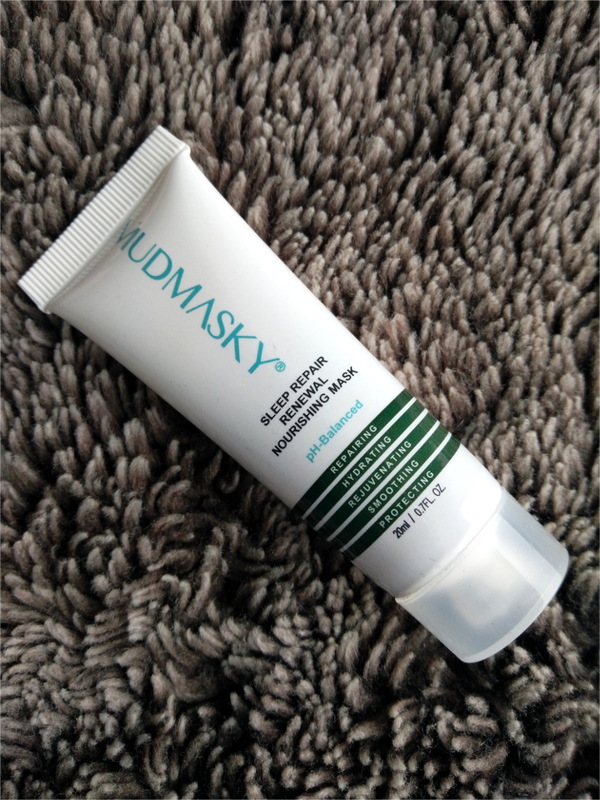 It contains aloe vera, shea butter and vitamin E to help nourish and care for dehydrated skin after a day in the sunshine; it’s going to be perfect to take on holiday! 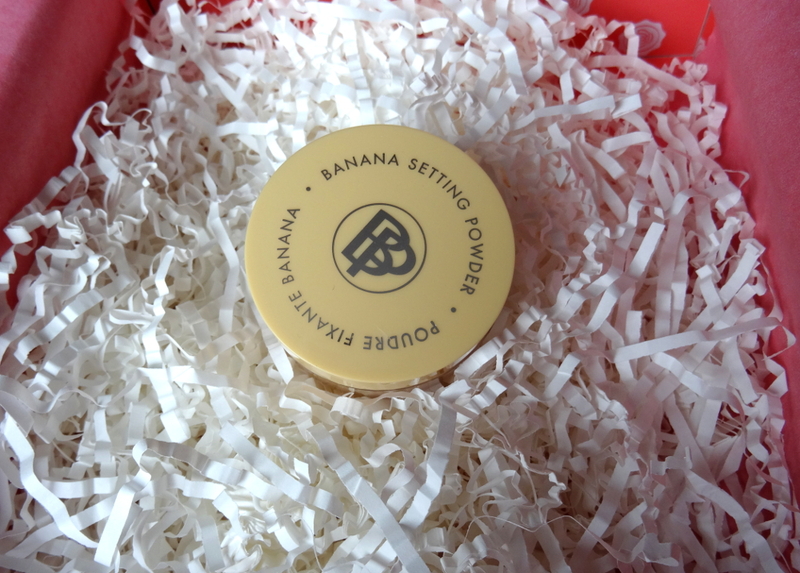 This full size tub of the Bellapierre banana setting powder (RRP £25) was also in the box. 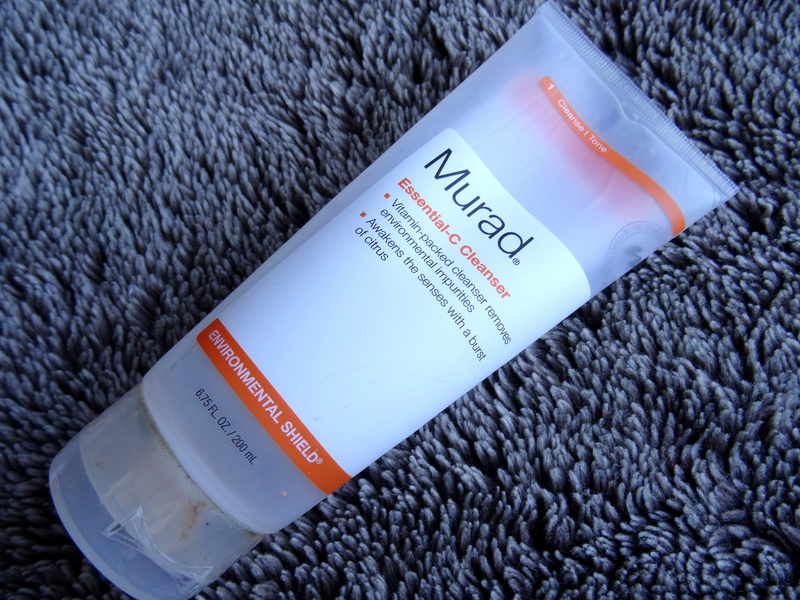 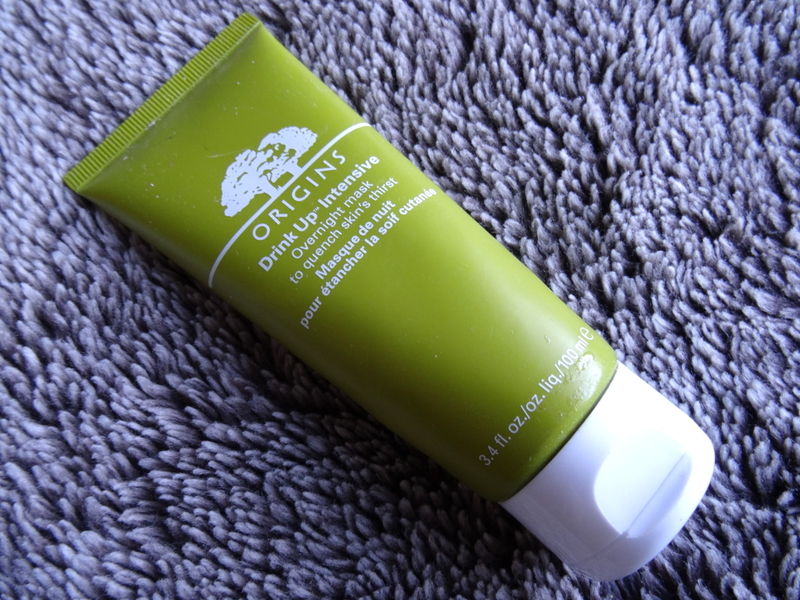 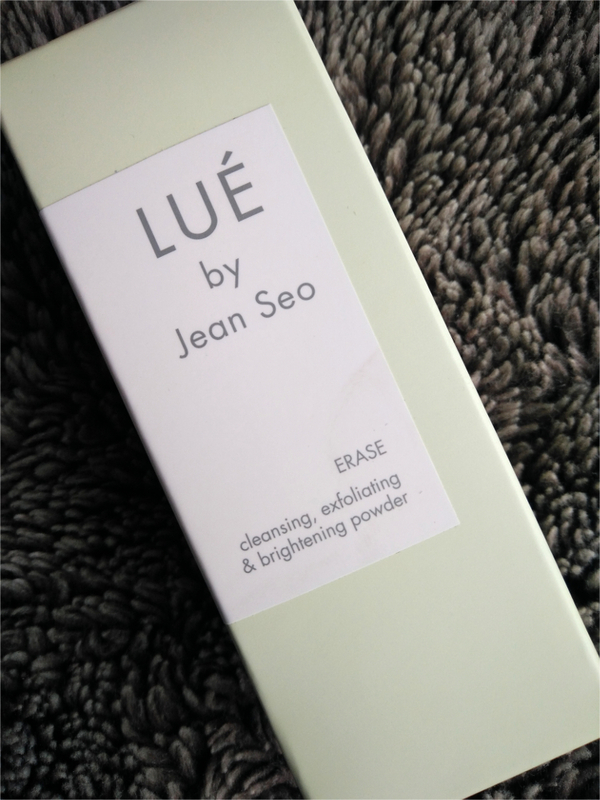 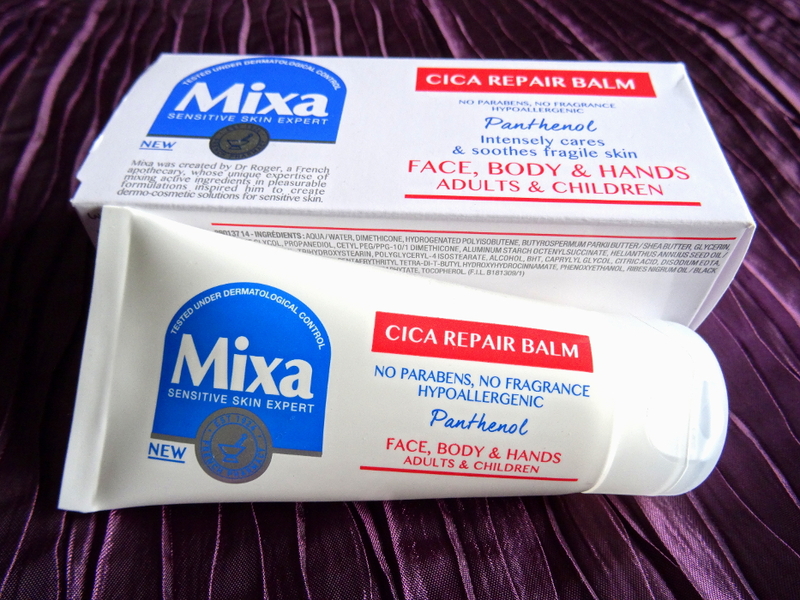 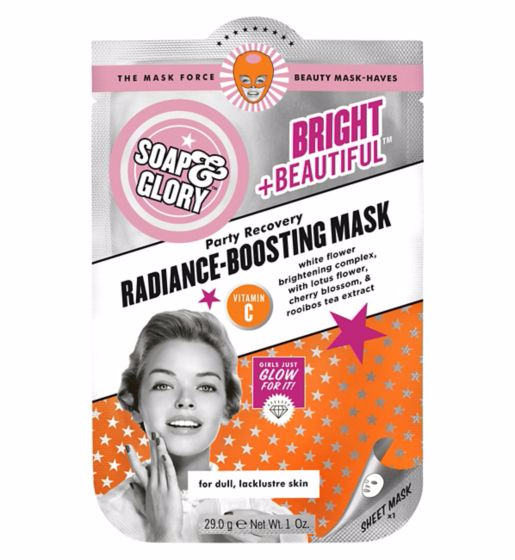 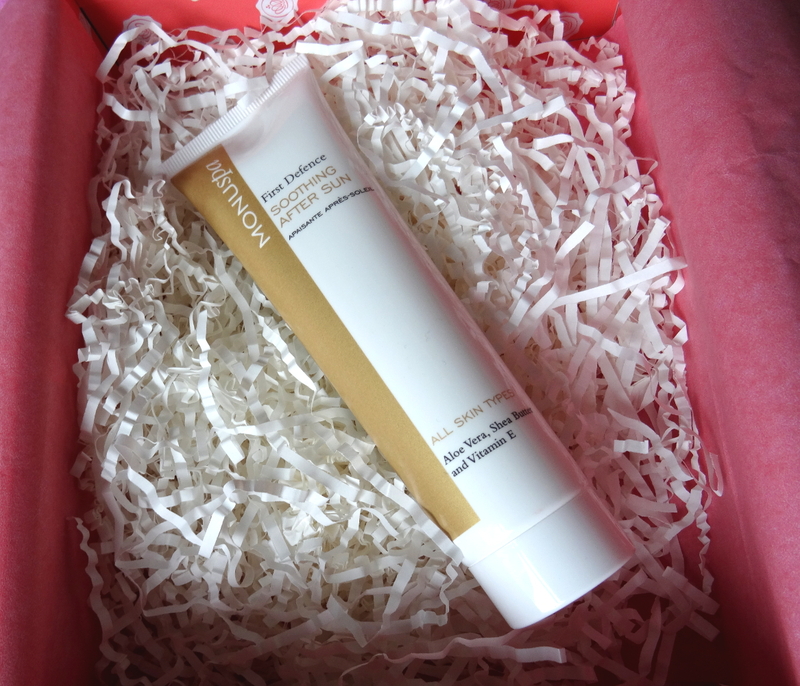 I’m looking forward to trying it out as it claims to counteract any redness or discolouration due to its yellow hue. 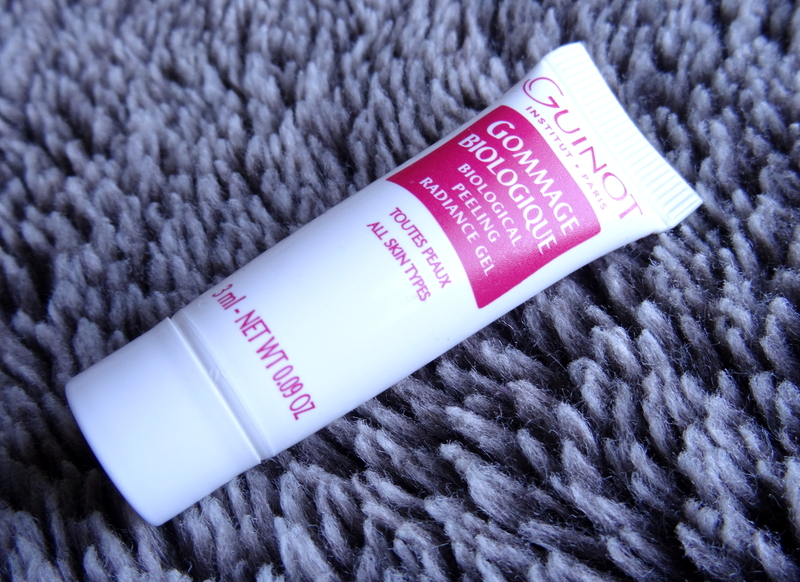 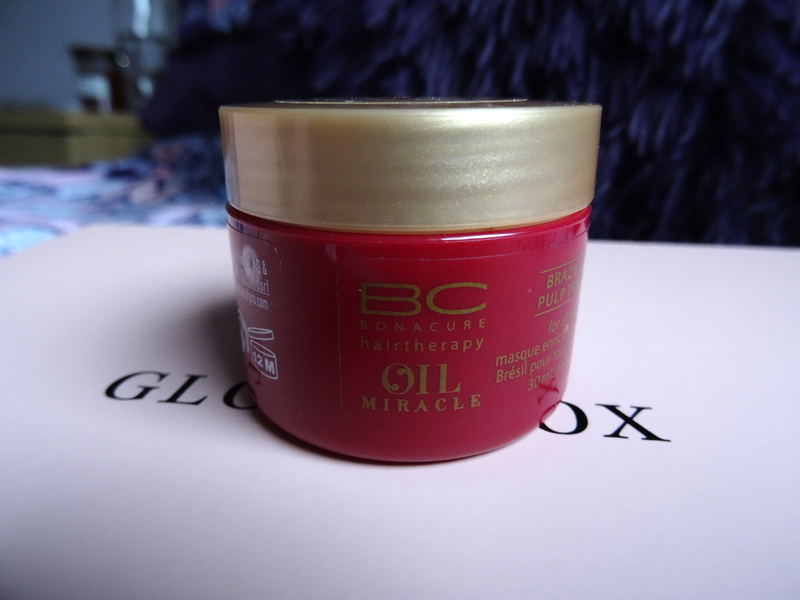 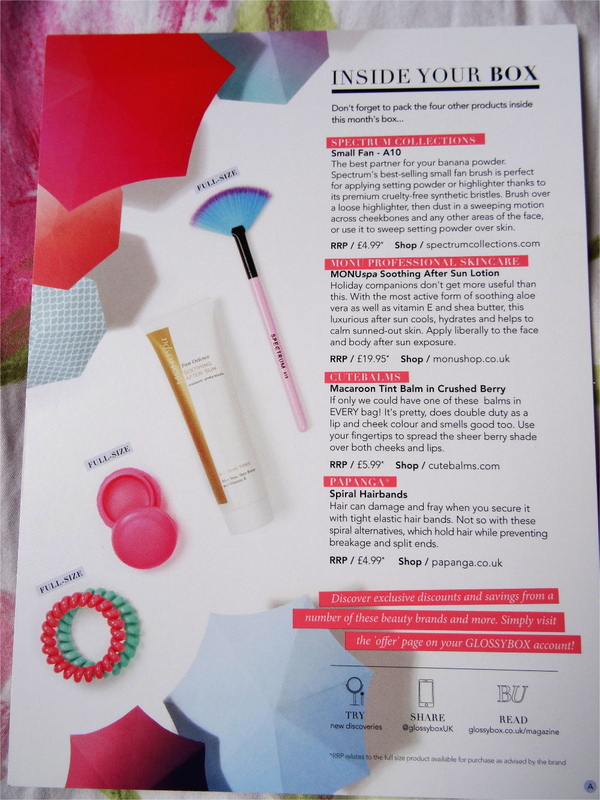 A Cutebalms Macaroon Tint Balm in Crushed Berry (RRP £5.99) was the third item in my Glossybox. 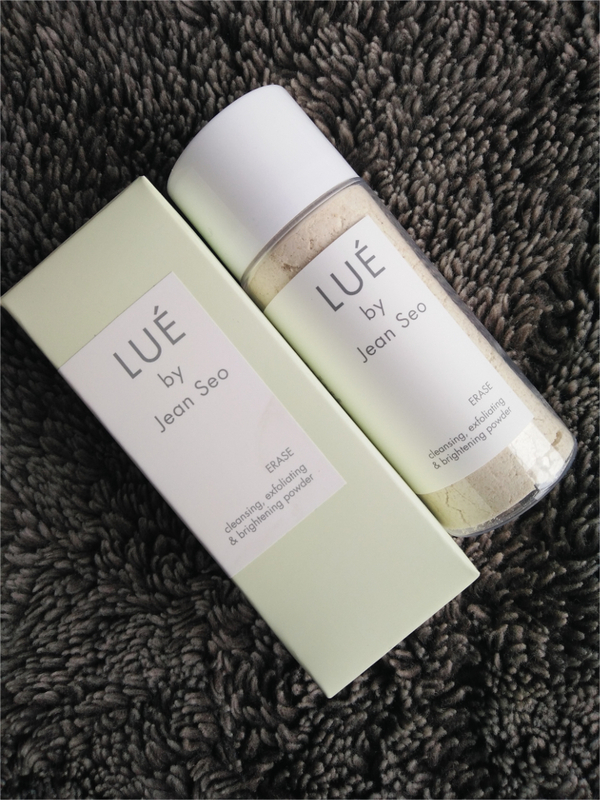 It smells fantastic and leaves a gorgeous pink sheen on the lips, definitely a new handbag essential. 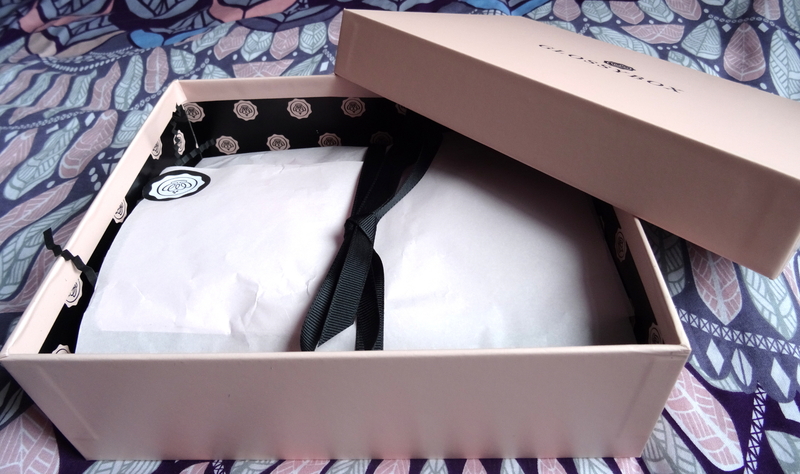 I’m curious to see whether these Papanga Spiral Headbands (RRP £4.99) will last longer than other bobbles like this I’ve used before. 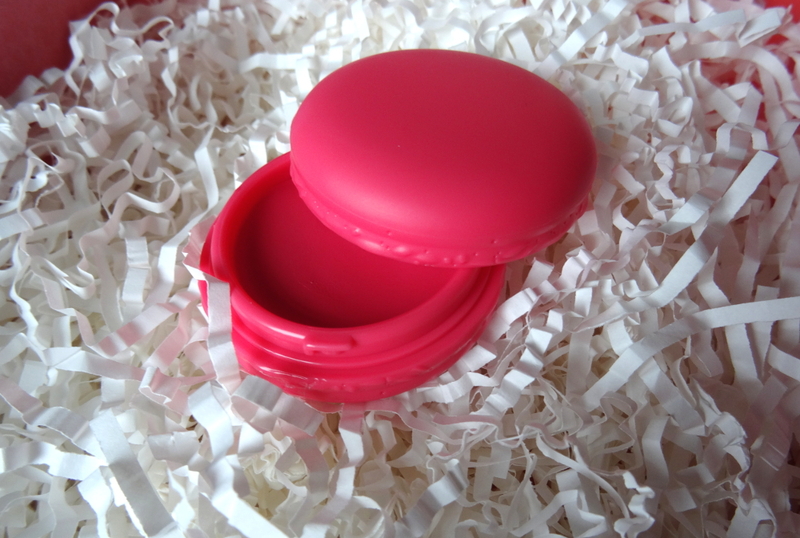 They usually end up stretching out and snapping, however these seem to be made of a much stronger material so hopefully they will do a better job! 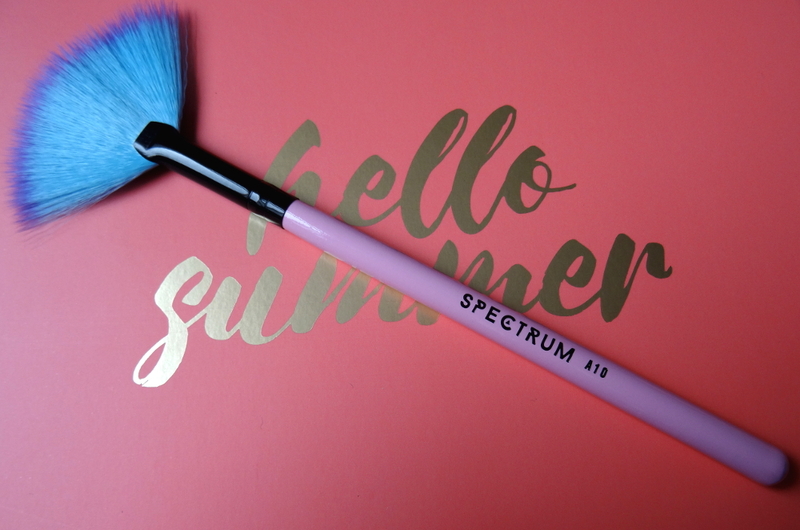 Lastly I received a Spectrum fan brush (RRP £4.99) which is said to be good for applying highlighter and gently removing any excess product such as eye shadow fallout. 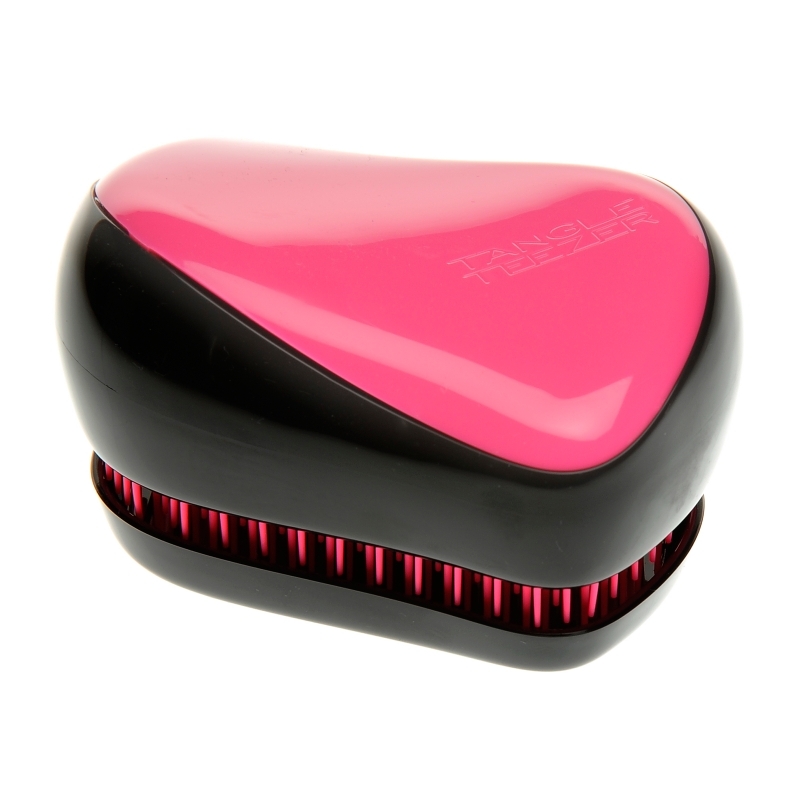 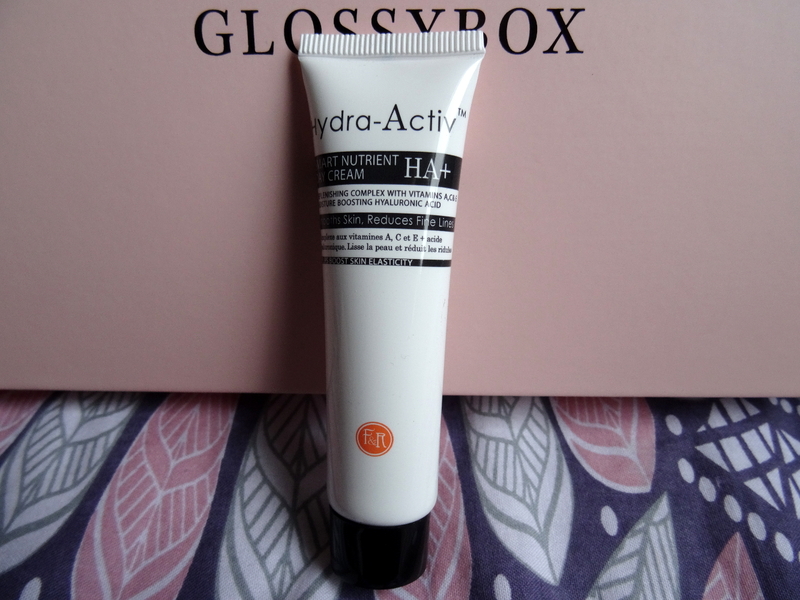 It’s made from high quality synthetic hair and is vegan and cruelty free. 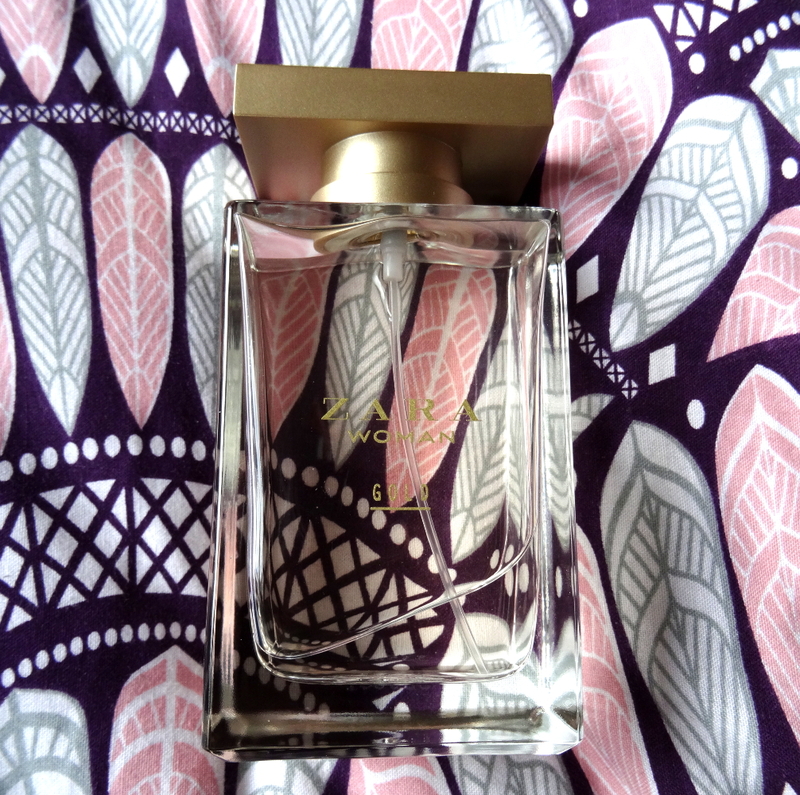 The L’eau de rose perfume by Jeanne Arthes is definitely a new favourite of mine, I received it in my February glossybox and have been loving it since. 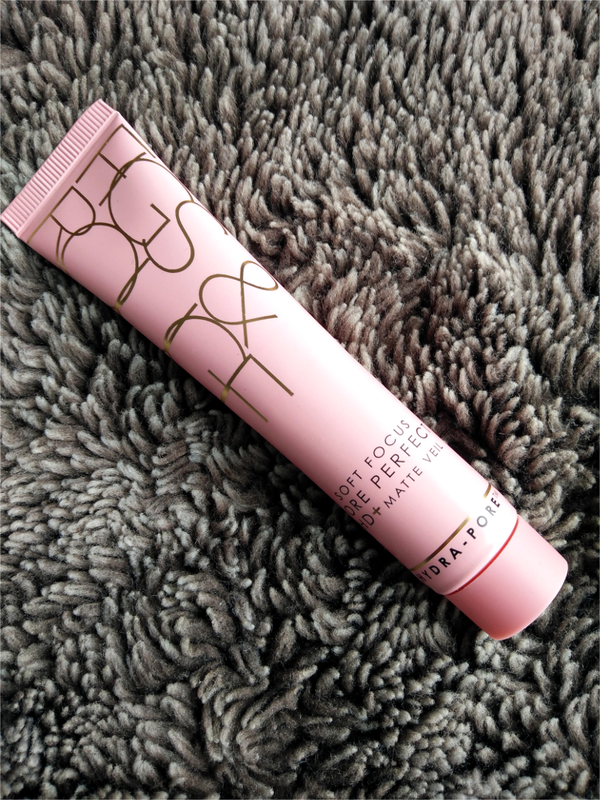 It’s so light and girly and perfect for everyday wear. 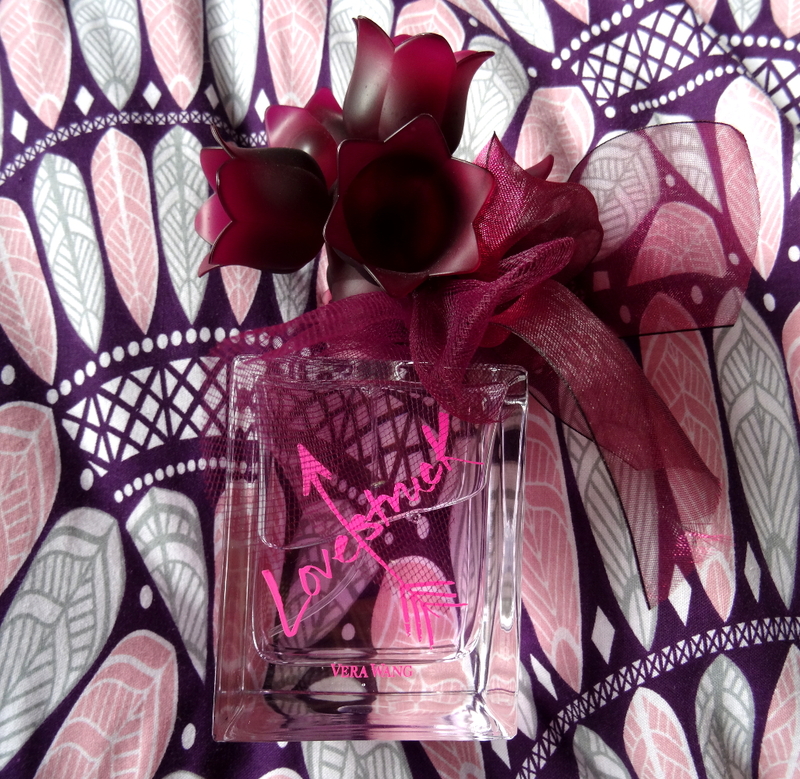 I’d never used a Vera Wang perfume before I received this one for my birthday in February but I’m loving it! 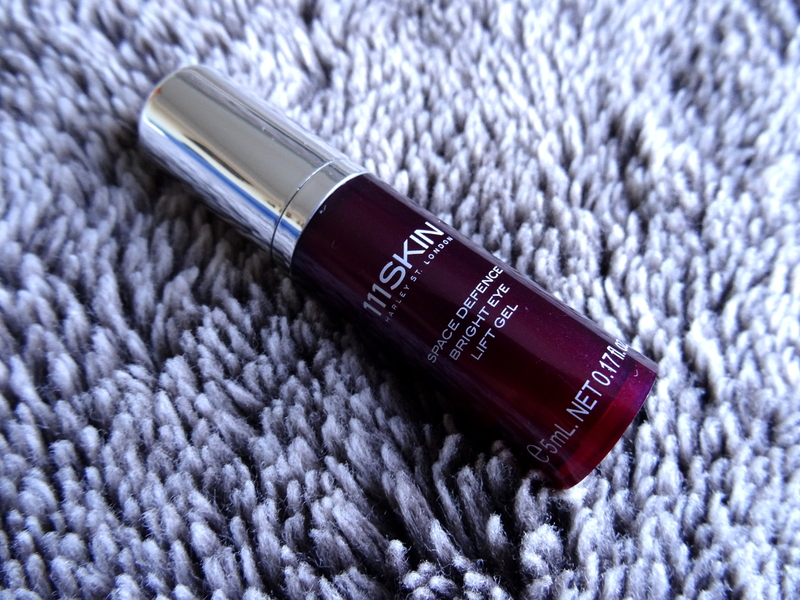 It’s the perfect scent for summer evenings as it is quite deep and musky without being too heavy. 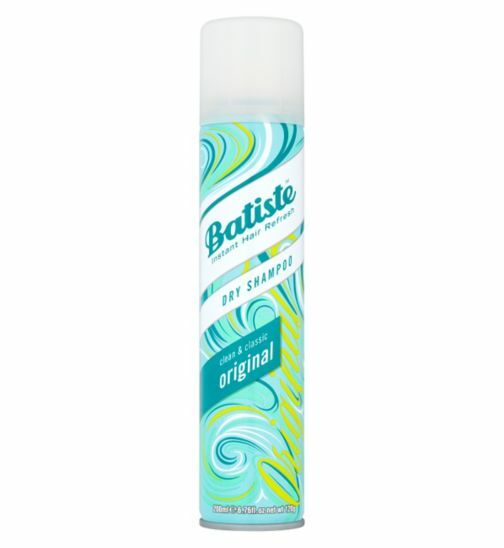 This is definitely my favourite perfume of the three and I wear it everyday for work, the smell lasts all day long and it’s an absolute bargain! 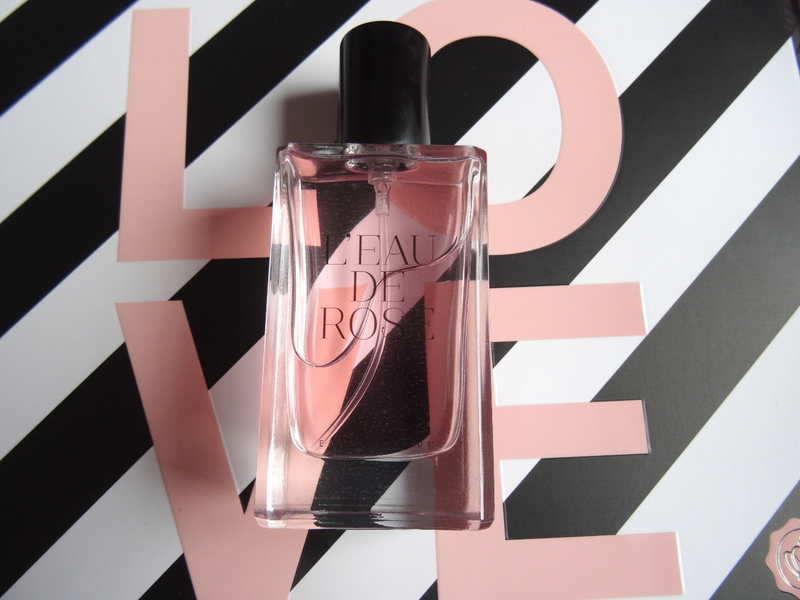 What’s your favourite perfume for spring/summer? 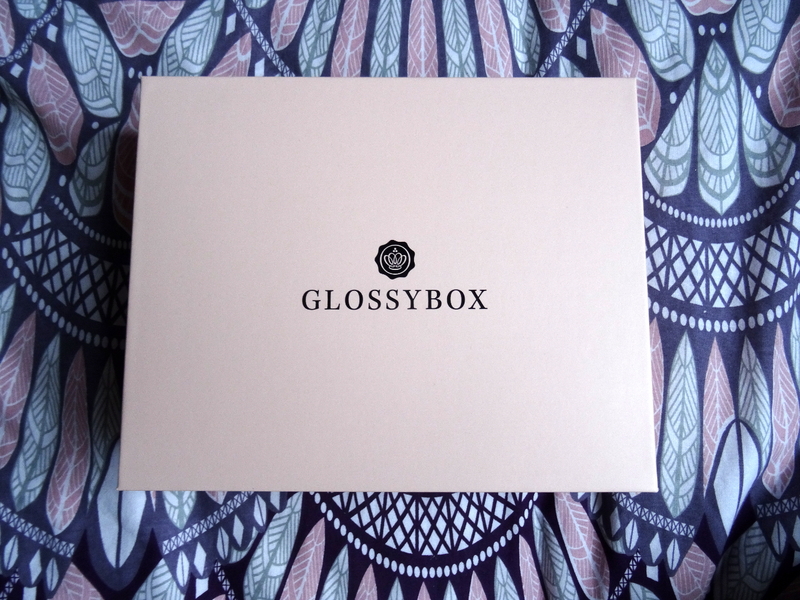 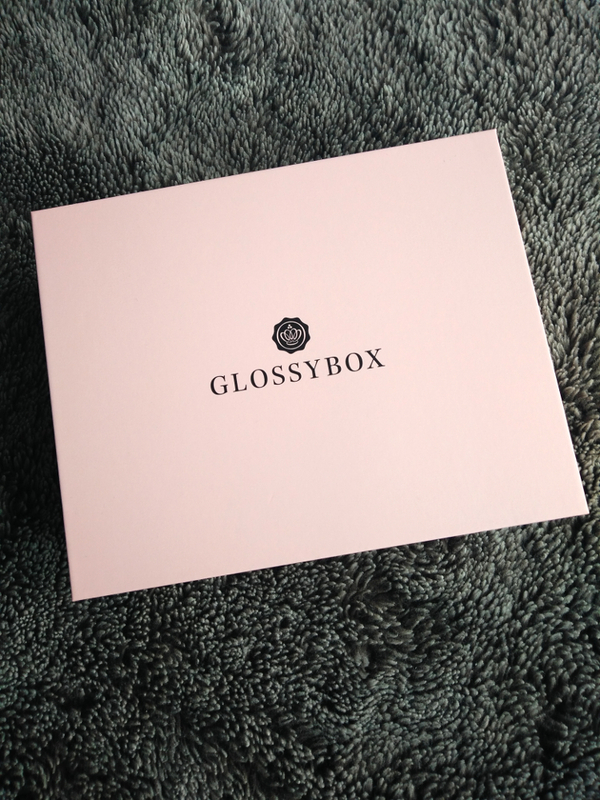 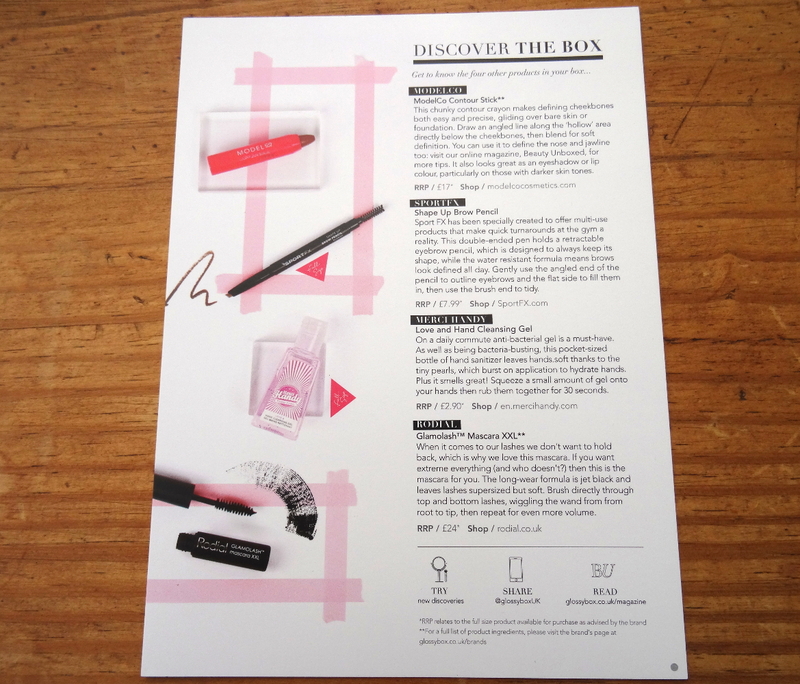 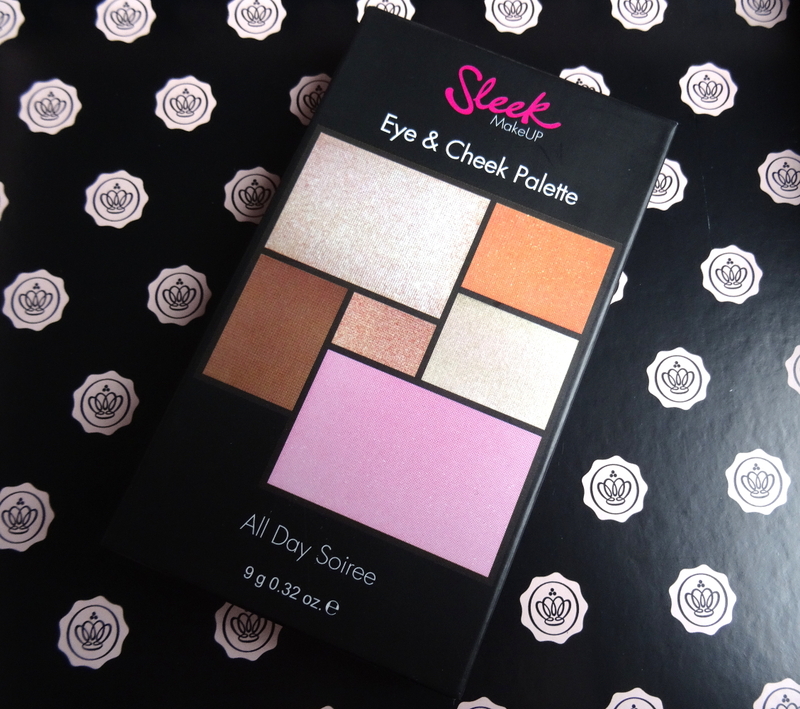 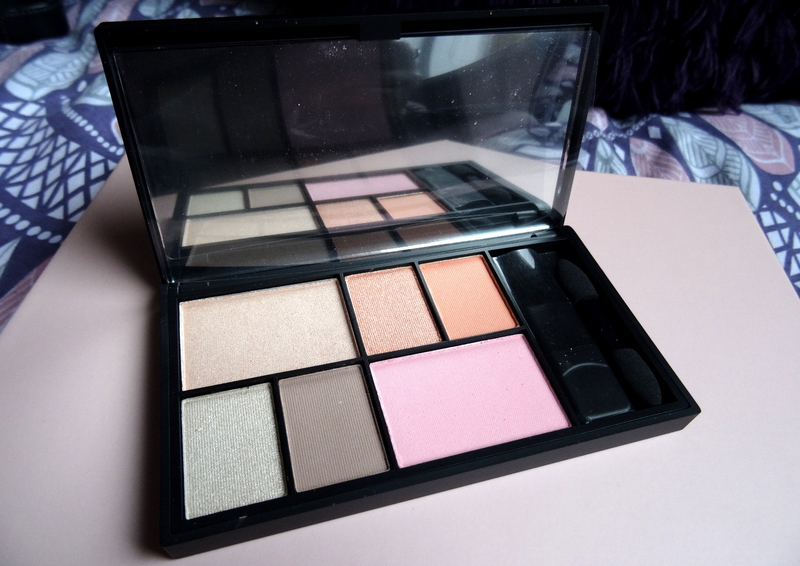 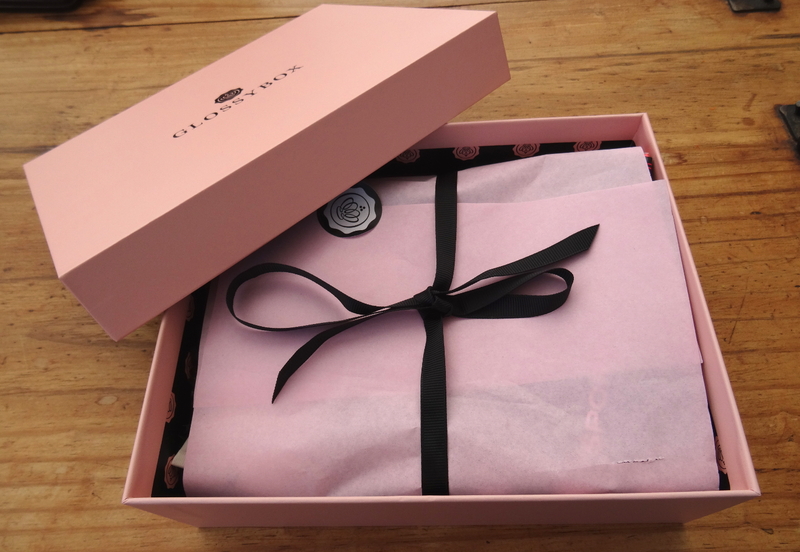 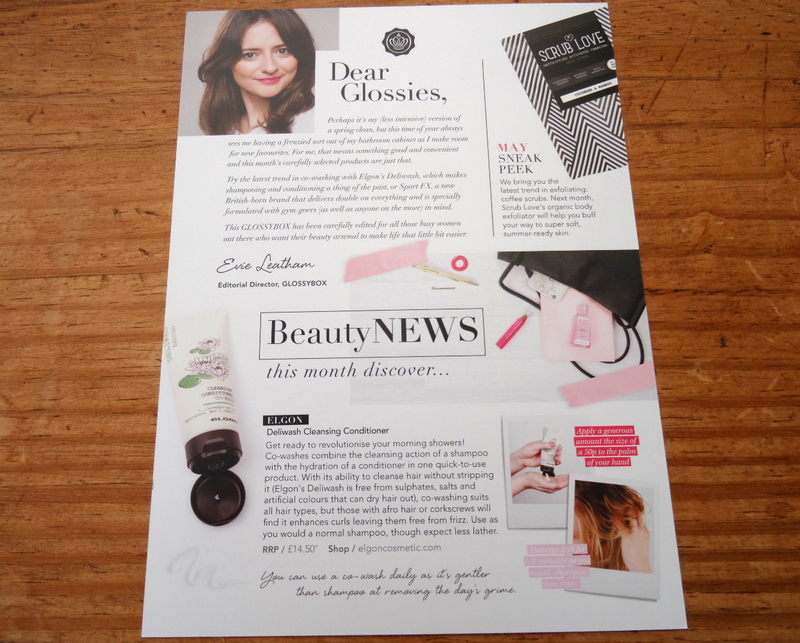 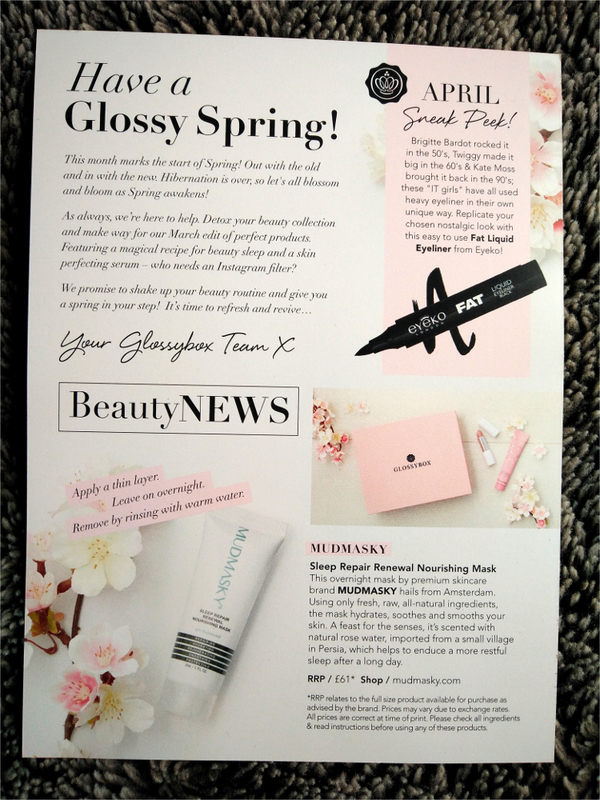 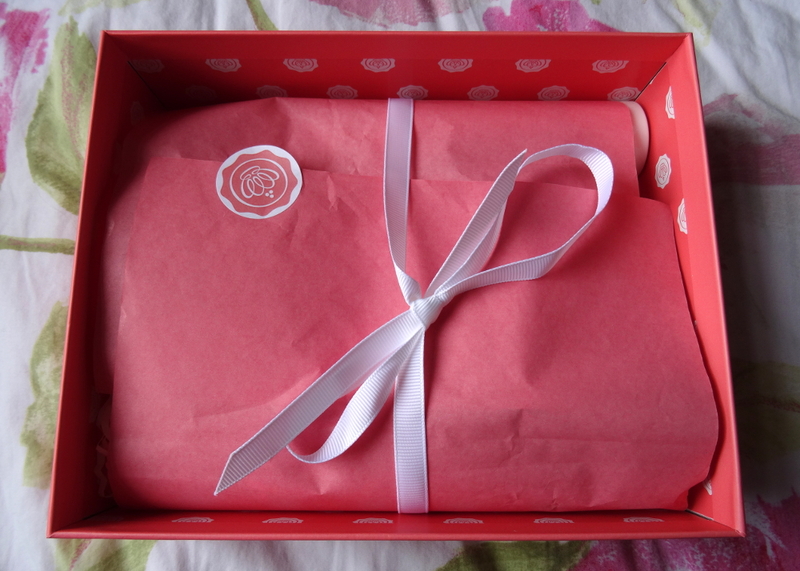 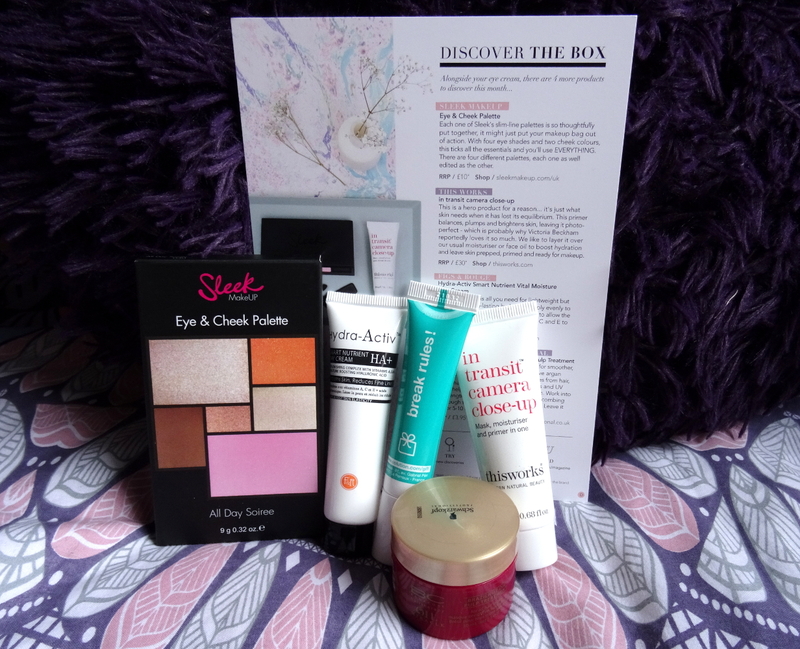 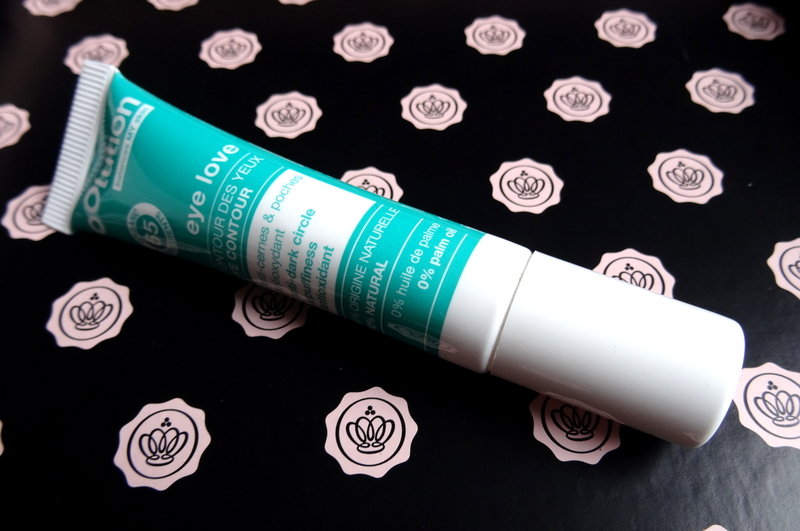 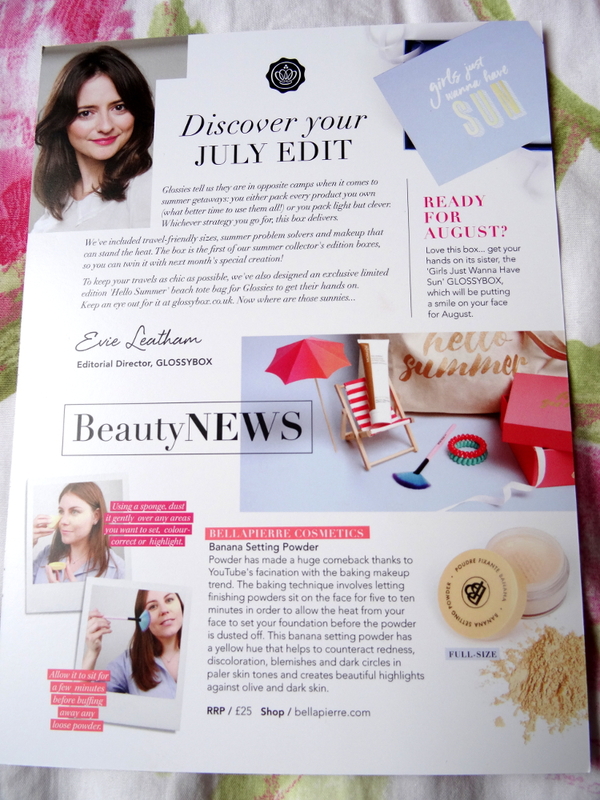 Once again Glossybox have delivered me five lovely products to try out and share with you! 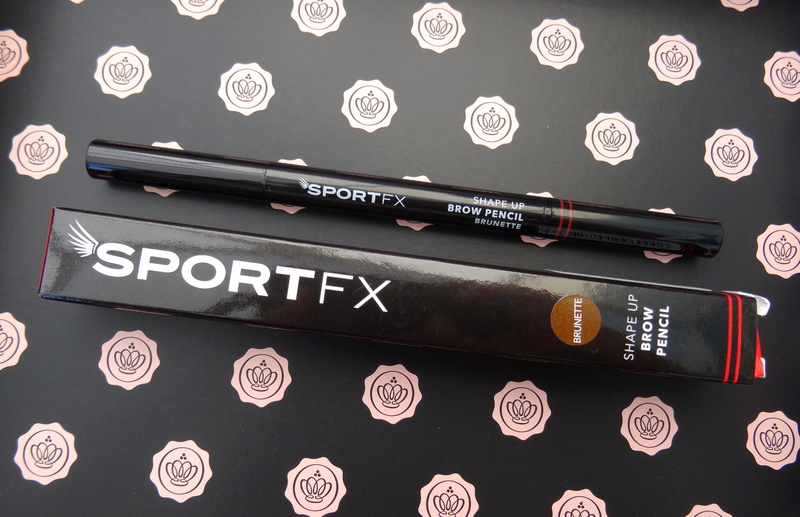 Firstly I received this SportFX eyebrow pencil in ‘brunette’ which twists up on one side to fill in any sparse areas and has a brush on the other to help keep your brows in shape. 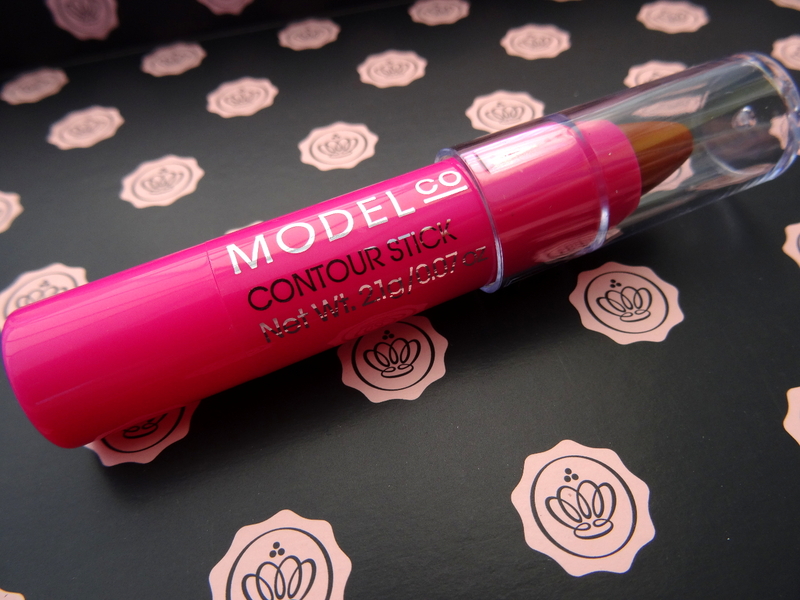 The next thing I saw was this Model co contour stick, I’ve never used anything like this before and am looking forward to using it! 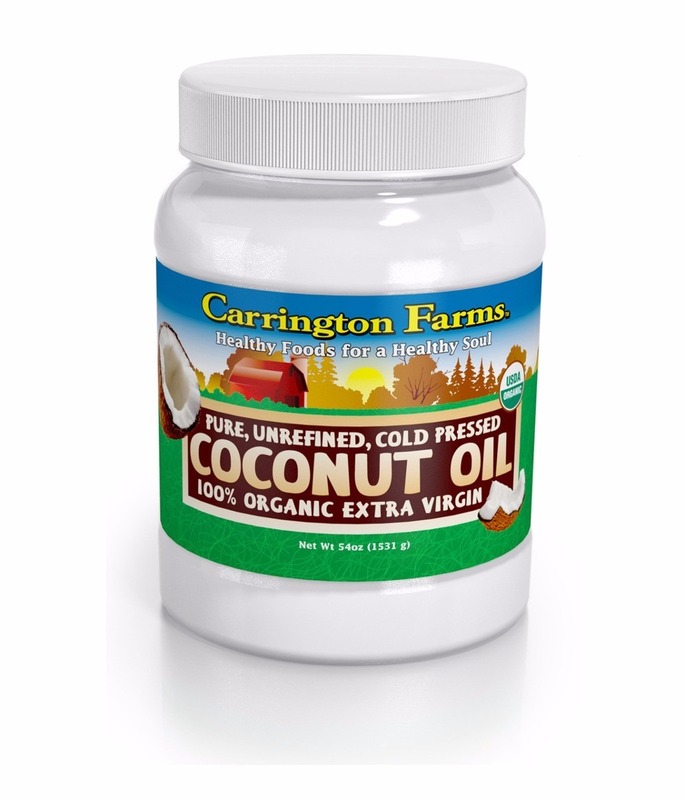 I’ll let you know how I get on. 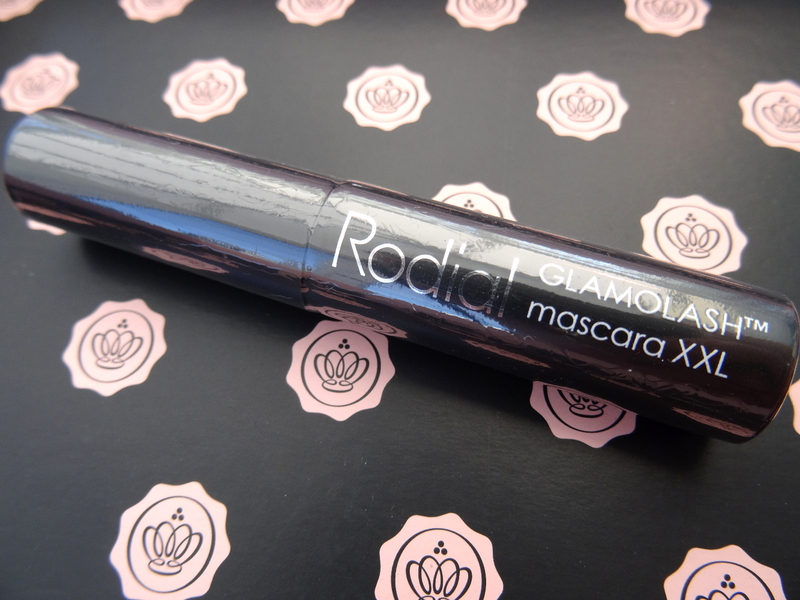 This Radial ‘glamolash’ mascara is supposed to give XXL volume and is the perfect mini size for travelling or keeping in your makeup bag for touch ups throughout the day. 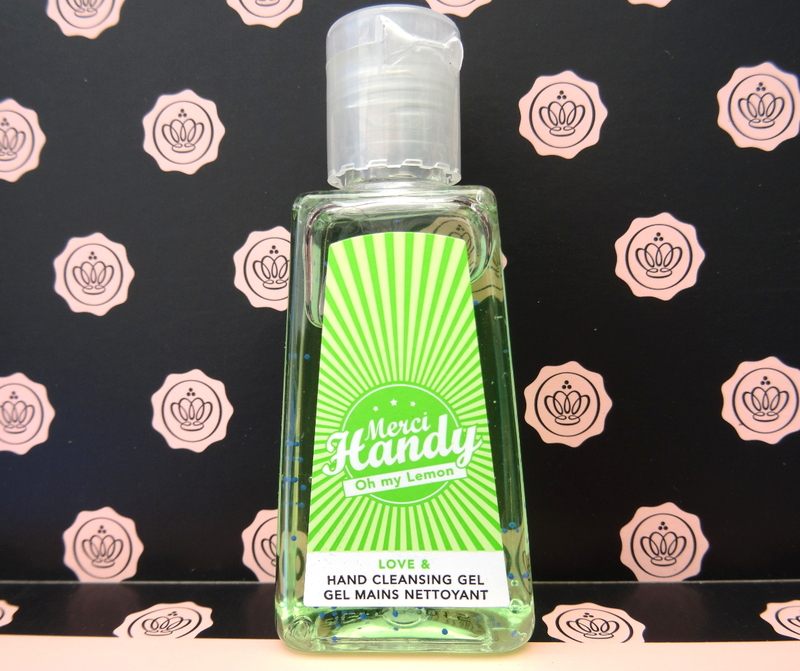 I’ve used a Merci handy sanitiser before in the vanilla scent and absolutely loved it, they leave your hands feeling clean without drying them out. 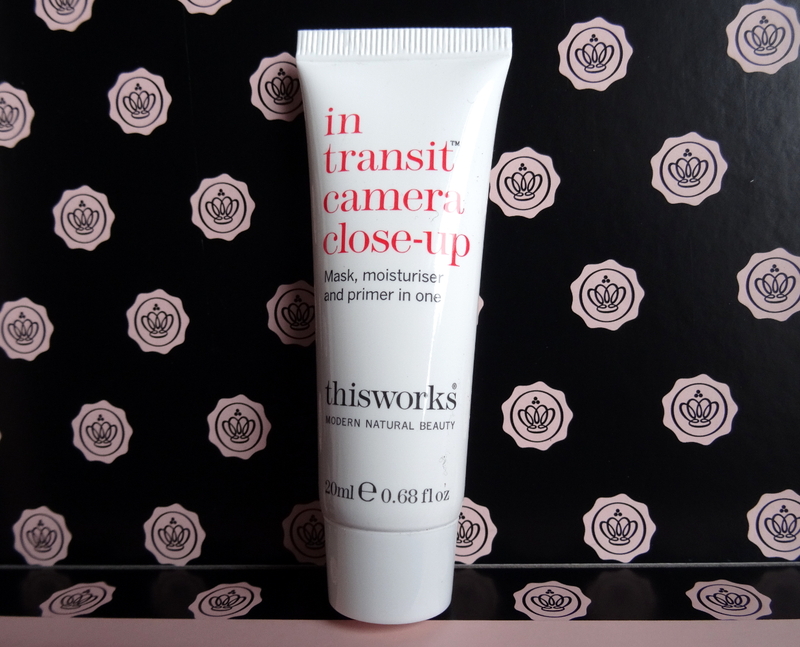 A total handbag must-have. 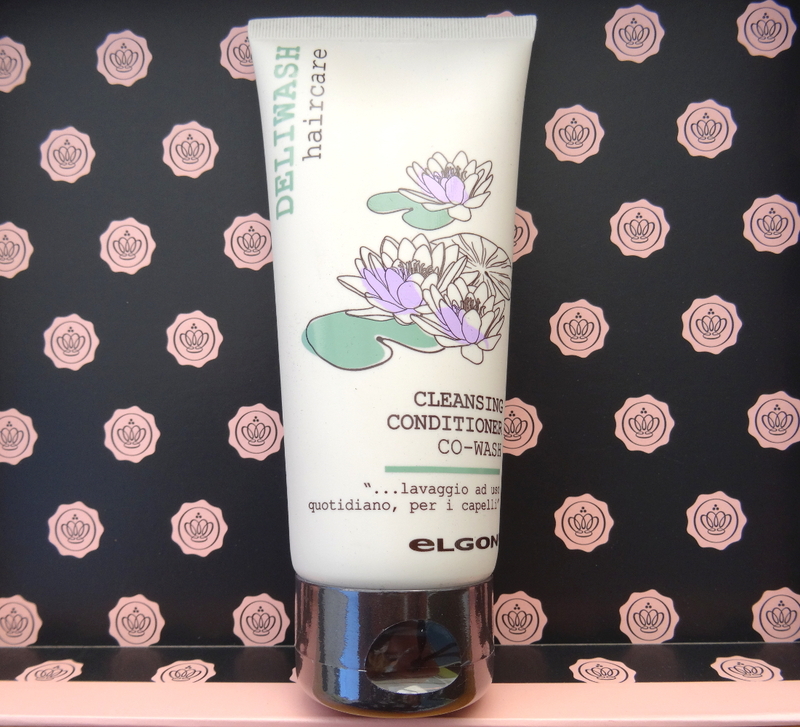 I’ve heard about co-washing before but never got around to giving it a go so i’m looking forward to testing out this one from Dellwash haircare. 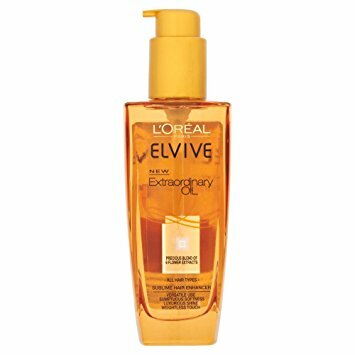 It’s supposed to be a lot more gentle on hair and stop it feeling dry and frizzy; definitely something I would benefit from. 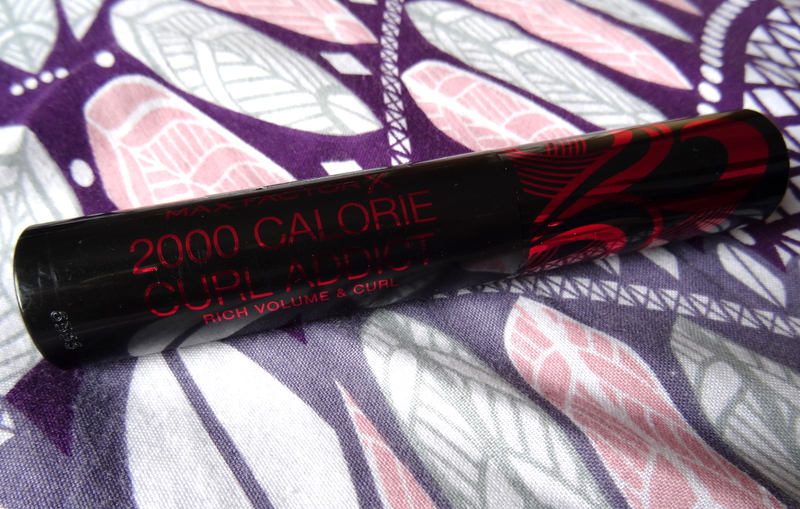 I’m a huge fan of the original 2000 calorie mascara, and max factor mascaras in general, so when I saw the new curl addict mascara being advertised I knew I had to try it out. 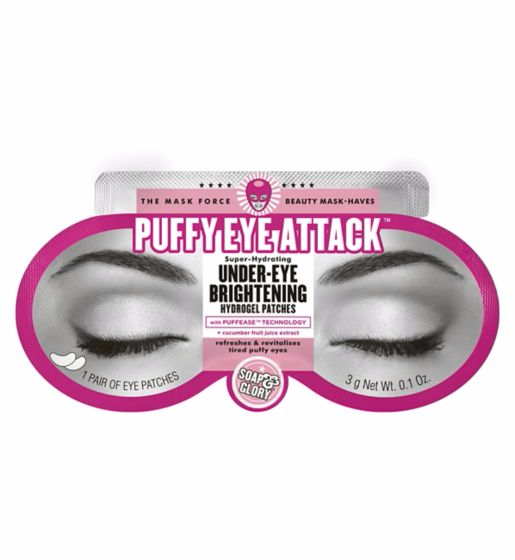 It claims to ‘create outrageous volume’ while ‘lifting and curling lashes for a wide awake look’ which sounds perfect to someone with limp straight eyelashes. 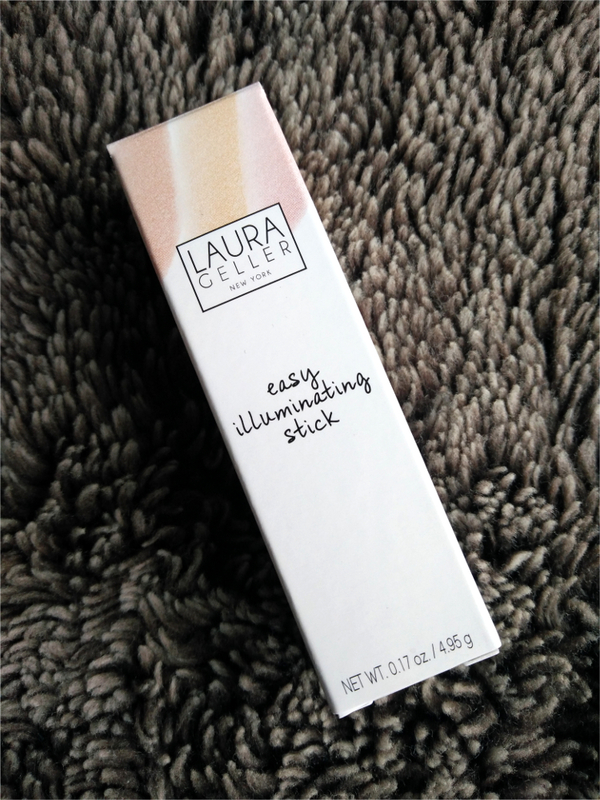 It’s definitely a new favourite! 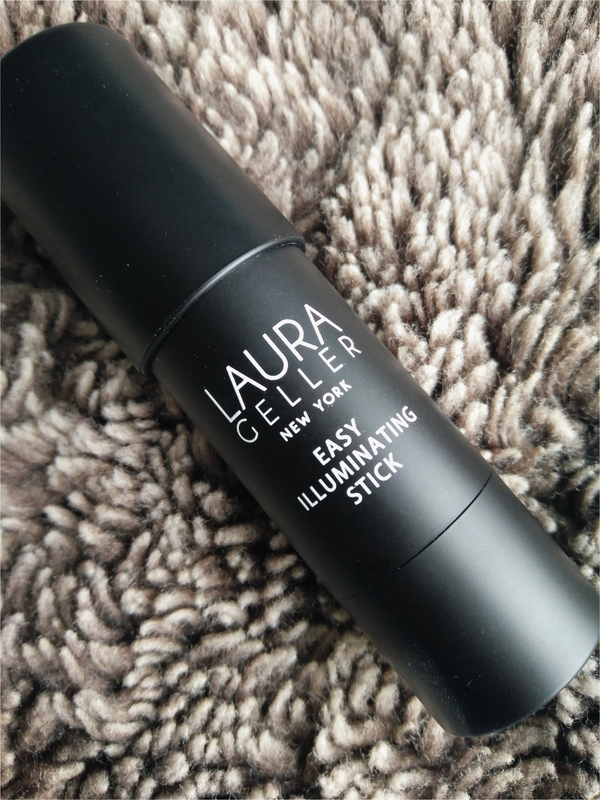 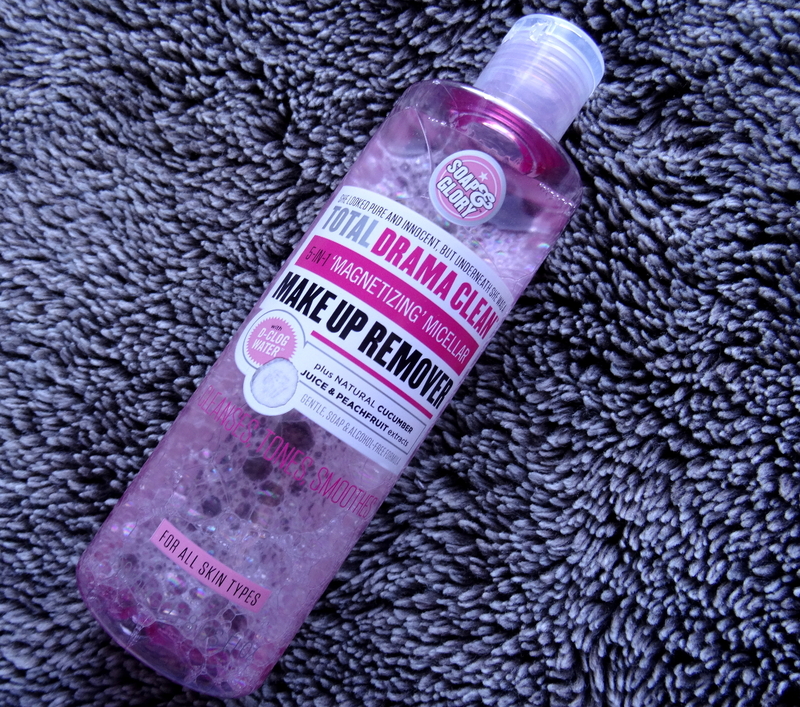 It holds a curl perfectly and doesn’t flake or smudge all day long. 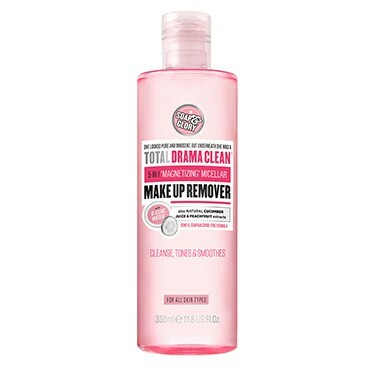 I also don’t need my eyelash curler when using it as it does such a great job on its own.